UK retailers are facing unprecedented pressure when it comes to keeping consumers shopping on the high-street. Amidst a climate of exponential e-commerce growth and economic uncertainty, retail sales continue to fluctuate in the UK. Despite this, February 2017 saw retail sales increase 3.7% compared with February 2016, indicating that the high-street is by no means a lost cause. One significant way that retailers are trying to keep consumers on the high street is by creating more interactive and immersive shopping experiences, that consumers would not otherwise experience from online shopping. Retailers are addressing this by incorporating intelligent digital signage networks made of touchscreen information stations, interactive menus and window displays and LED screens that display live social media feeds. With the implementation of these tools comes the need to produce content to populate these platforms. This can often be challenging for retailers who are unsure on how best to use the technology to ultimately drive more sales and customer engagement. Implementing the right Content Management System (CMS) platform is essential to help retailers get the most out of these technologies and understand the ROI of intelligent digital signage and interactive in-store experiences. This is especially true considering that 43% of shoppers that can’t find the information instore leave frustrated. Information needs to be targeted, relevant and ultimately, visible across multiple platforms. A CMS platform can be considered the backbone to any digital signage network, enabling retailers to upload and promote content that will populate in-store screens and mobile ecommerce sites to attract people to the store. 1.Ability to access data and analytics. Having interactive displays is a great way to gain customer data. For example, having a screen in-store which enables customers to flick through an ‘e-wardrobe’ can help you gather data about which items are most popular. Your CMS should have extensive analytics capabilities so you can view the data and understand how your content is being consumed. 2.Ability to create and publish content across all devices. 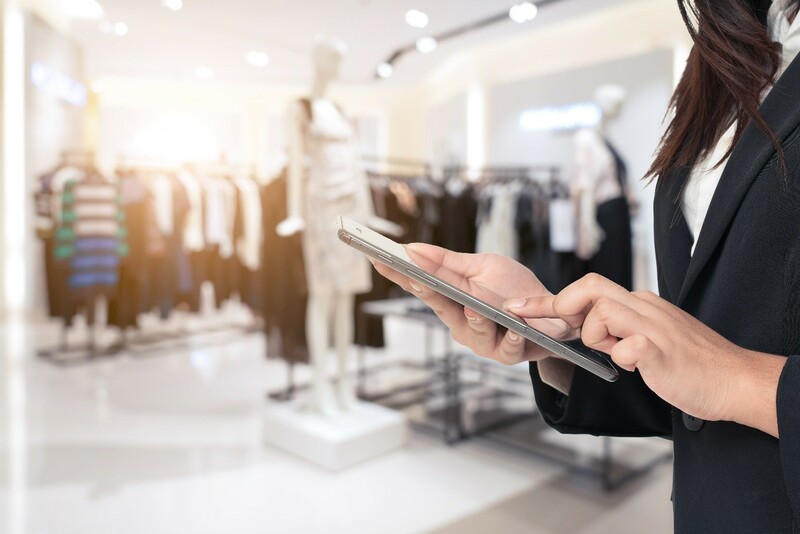 Omnichannel customer engagement remains a huge focus for retailers; it is important that you can use a CMS platform to engage customers both in-store and mobile. Digital signage is more than just screens. The ability to offer access to both platforms is a powerful way to get the consumers to your store. A CMS platform that enables you to produce and promote content on multiple platforms is vital. Retailers can then produce content once and make it public everywhere, across a whole network of digital signage touchpoints to follow the customer journey and create a seamless experience. 3.Ability to target specific consumers with targeted information. Digital signage is ineffective if viewers cannot take immediate action. It’s vital that customers feel compelled to act on the messaging displayed on the signs and an effective way to do this is by being able to segment content. For example, a real-time Twitter feed can be displayed in-store through the CMS platform and offer customers an exclusive 20% off if they tweet the company using a certain hashtag and send an image of them wearing an item they want to purchase. Not only does this create increased interaction with the brand on social media, but the content appears targeted and specific to that consumer in that store. The reach is further amplified as the message reaches the consumer’s social network. This could also target potential customers. 4.Ability to integrate new devices with ease. Having a CMS platform that is scalable to any business is key for retailers looking to create, manage and deploy content across a variety of end points including screens, kiosks and mobile. It should be seamless to integrate new devices into your digital signage network and messages need to be consistent to engage shoppers. CMS platforms may be merely a place to house content, but they should be the gateway to creating an interactive retail experience to keep consumers coming back to the high street. There are many CMS platforms available to retailers. Make sure that you invest in one that has the infinite flexibility to deliver an immersive, experiential experience through interactive displays, all while capturing and analyzing data to continue adapting to the consumers’ behaviour.